This guide will help Hispanic homebuyers to better understand the home buying process. The general home buying process. Common misconceptions that the real estate industry has about Hispanic homebuyers. How to find a real estate professional who understands a Hispanic hombuyer’s needs. How to find out about available grants and programs. Introduction: How is the Hispanic homebuyer different? When it comes to Hispanics and real estate, it's important not to generalize and stereotype. After all, the term "Hispanic," is an umbrella term that almost unrealistically groups together an enormous and diverse population of people that includes Ecuadorans, Puerto Ricans, Dominicans, Hondurans, Mexicans, Argentineans, and people from many, many other countries. It is also important to stress that while this guide might be aimed at the Hispanic community, most of the suggestions and guidelines represented in this piece can be allied to many other diverse and varied socio-economic classes of society. When it comes to real estate, one unifying trait all Hispanics is the fact most of them don’t have a full understanding of the US real estate purchasing process. "That's the difference, not understanding the process," says Carmen Mercado, President of the National Association of Hispanic Real Estate Professionals® and a Long Island, New York-based Education & Diversity Manager with NRT's Coldwell Banker Residential Brokerage. There are actually many differences between the way that real estate is purchased in the US and in other countries. As previously mentioned, the whole idea of holding a physical deed is key in some countries. Here, once the transaction is recorded, it’s done and official whether or not you have the actual deed in hand. The financing options that are available here may also be different. In other countries, you may even be buying from an owner who is financing directly to you. Of course, there are many second and third generation children who are fully versed in the US real estate purchase process. If that describes you, this guide may not be as helpful for you. However, if you are a first time Hispanic homebuyer-or even if you’ve bought homes before—this guide should give you a good introduction to some of the information that you need before starting the home buying process. We’ve done our best to make this guide as comprehensive as possible, but you should always do your own research and talk to a trusted financial advisor or real estate professional who you are comfortable with and who understands your specific situation. A mortgage is one of the biggest financial commitments you will make in your life. A trusted advisor can help you to make the best decision for you and your family before making any binding commitments. Also, while this guide covers many aspects of the home buying process, it does not cover every aspect of that process. Save yourself some cash and some headaches by looking online to give yourself a more in-depth education on the process before going ahead with a purchase. Situation: Alberto and Violeta moved to the United States from Spain a few years ago. They both have good jobs, but haven’t been able to save up for a 20% down payment on a home. They would like to start building equity by purchasing a home as soon as possible, but are afraid that they are just wasting their money on rent and will never have enough for a down payment. Solution: First, Alberto and Violeta go onto the HUD.gov website and find some local housing agencies to get advice on their options. They find out that they could take out an FHA loan, which only requires a 3.5% down payment, which is more manageable for them. They also find out that they are eligible for enough grant money to cover a sizeable portion of their down payment, which will in turn make their mortgage payments much lower. Situation: Miguel and Andrea would like to purchase a home, but they don’t have perfect credit. They paid a few bills late in the last year and have had a few outstanding medical bills. Solution: Miguel and Andrea start off by talking to a local housing agency and find out that they don’t need perfect credit to purchase a home. This is a sigh of relief and they follow up by getting a credit report so that they’ll know exactly what issues they can anticipate with a lender. They plan let the lender know ahead of time what the issues are and look for ways to fix them. Though they are inundated by advertisements for companies that offer to fix their credit, a little bit of online research shows Miguel and Andrea that they can actually do the same credit fixing on their own for free. Situation: Magdalena would love to purchase a home for her daughter and herself. While she has the money, she is not fluent in English and fears that she will not be able to make it through the whole home buying process. Solution: Magdalena contacts the National Association of Hispanic Real Estate Professionals and finds a realtor who speaks Spanish. This realtor then helps her to find lenders and other people important to the home buying process that speak Spanish. Along the way, Magdalena realizes that most of the HUD.gov websites are also in Spanish, which helps her to educate herself on the process as she goes through it. Situation: Arturo has just returned from fighting in Afghanistan and would like to move into a house and start a family. He doesn’t have much money saved up, but he’s so tired of living away that settling down is a huge priority for him. Solution: Arturo finds out that he is qualified for a VA loan and learns that he can get into a house with a 0% down payment. Of course, he will have to go through the VA’s strict inspection process and pay some fees, but he ultimately decides that having a home is important to him and the trouble is worth it as this is the most realistic way to make it happen. The first step is getting a handle on your finances to determine how much you can actually afford to pay on a mortgage every month. This means tracking your expenses and figuring out how much you have left over after figuring out how much you want to contribute to various savings like your 401K, retirement, college funds, etc..
Get your Credit Checked: When applying for a mortgage, your credit will be checked and any dings on your history will affect your rate and overall chances at a mortgage. Sign up for a free credit report and find out ahead of time what your lender will see on your report. While many companies will offer to fix your credit for you, you can do simple online research to figure out how to do it yourself for free. It pays to do this a few months or a year ahead of time as a better credit rating means a better rate on your mortgage, which means a lower monthly mortgage payment. After you’ve figured out how much you can afford to pay every month, determine how much savings you have that you can contribute to a down payment. Though you don’t necessarily need to contribute 20%, the more that you can put in for a down payment, the better your interest rate will be. Knowing how much you can pay per month and how much you can put down as a down payment will ultimately tell you how much you can comfortably afford to pay for a home. There are many online mortgage calculators that you can plug these numbers into for an answer. This is a step that many people skip. It’s a pain, but worth it in the long run to do. There is actually some confusion about getting preapproved or prequalified for your mortgage. The two terms do not mean the same thing. Prequalification is a process where a lender will give you a very rough estimate of what you can borrow based on your financials. The prequalification isn’t a commitment on their part to lend you the money, though. Preapproval is when the lender takes a more in-depth look at your finances and gives you an exact amount that they can lend you. You will have to provide many documents, pay fees, and fill out a lot of paperwork. However, in the end, the lender makes a real commitment to actually lend you the money. Getting preapproved before you find a home is to your advantage because it gives you 1) a real number on what you can afford—no falling in love with homes outside of your price range, and 2) your financing is all set, so the sale will go through faster when you find your dream home (and you will get priority over other homebuyers if there is competition for a home). Note: Lenders will always tell you the maximum that you can borrow from them. Many people make the mistake of thinking that this is actually how much they should borrow. It’s almost always a good idea to purchase a house below your means so that you don’t have to sacrifice your savings or your emergency fund. Once you know what you can spend on a home, it’s time to start looking. Before you see anything, consider the things that you really need in a home vs. what you really want in a home. Proximity to work and schools. A backyard for pets and small children. An extra room for an office. Once you know what you are looking for, there are a number of ways to find your home. In the past, your only option was to go with a Real Estate Agent. These days, you can find an agent through friends, family, or HUD.gov approved organizations. Or, you can take things into your own hands by looking online at house listings and going to open houses. You should obviously look at a number of houses in your price range and in the area that you want to live in to find the best fit. Once you have found “the” house, you will make a written offer for how much you will pay for the house that includes an expiration date at which time the offer is no longer valid. The seller can accept your offer, reject it, or propose a counter-offer. You can then accept, reject, or propose yet another counter offer. The actual deal is not binding until both parties agree to the terms and sign. Home Inspection: Most offers are contingent on a home inspection. The purpose of the inspection is to find any serious problems with the home or other issues that you might not be able to see on your own. If an inspection turns up anything negative, the buyer often renegotiates or backs out of the deal. To get a mortgage, you usually have to have an inspection anyway. Once you have settled with the seller, it’s time to get your mortgage. If you are already pre-qualified, you are ready to go and can immediately purchase your house. If you are not pre-qualified, you will need to go through the whole mortgage process, which involves gathering financial information and identification documents and getting approvals. It can take a few days or weeks to complete this process and your lender still might reject you. This is why you have an advantage if you get pre-qualified: You know what you can pay and the seller knows that the sale will be quick. After you have your mortgage and before you can move to closing, there are often a few other things than need to be done. These vary from state to state, but they often include a title search, getting homeowner’s insurance, well testing, a termite inspection, and a final walk through. The actual closing is a meeting where you will complete all of the final paperwork for the sale and receive the deed and keys to the home. At the closing, you will have to pay the closing costs, which can add a few thousand dollars to your final bill. Get a Good Faith Estimate (GFE) from your lender a few days ahead of time to find out what these costs will be and check the actual closing costs to the GFE to ensure that you aren’t being overcharged on your closing costs. Misconception #1: The whole home buying process. As we’ve said before, one of the biggest stumbling blocks is not understanding the US real estate purchasing process. “I still point everybody to HUD.gov,” says Mercado. “There’s just basic information there and there’s actually a Spanish version for those that feel more comfortable reading in Spanish.” The Housing and Urban Development site covers important topics like “how to find and select a real estate agent” and “how to qualify for a mortgage.” There are also different tools on the site to locate local housing agencies by zip code. If you are looking for a reputable housing agency, you can just put in your zip code and it will actually show ten or fifteen nearby HUD-certified agencies where you can go learn more about the process. Many times, grants and lotteries happen through these agencies that that consumers are sometimes not aware of. Misconception #2: You need a 20% down payment to purchase a home. While you’ll usually get the best deal on your mortgage if you can put down 20%, you can get an FHA loan or a VA Loan with much less down. In the case of a VA Loan, you can get away with putting 0% down. Misconception #3: You need perfect credit. Misconception #4: If you have a language barrier, you are going to have problems with buying a home. “There’s a myth that if you don’t speak English,” says Mercado, “you’re not going to understand what the real estate people are saying. Or maybe you think, “I can read, but I’m not going to really internalize it and comprehend or understand it.”” In reality, there is so much valid material in Spanish and English—that not speaking English well is not a stumbling block that you will have to overcome. Misconception #5: If you don’t have a social security number, you can’t purchase a house. “Hispanics with an excellent work history may not have a Social Security number,” says Steven Hale, VP and director of marketing for Brotherhood Bank & Trust of Kansas City, Kansas. “With an Individual Taxpayer Identification Number (ITIN) a borrower is eligible to apply for certain loan products even without an SS number.” If you do not have a social security number, find a lender that is certified to process ITIN applications. Misconception #3: Hispanics are all low to moderate income. Misconception #4: All Hispanics want to work with Spanish speaking real estate professionals. “Just because you are Hispanic, it doesn’t mean that that you have to be served by somebody who speaks Spanish,” says Mercado. Misconception #5: Hispanics do not have bank accounts. If an underwriter notices a cash deposit on a bank statement, the paycheck stub can be used to source that deposit. In addition, the date of the paycheck stub would closely match the date of the cash deposit as people deposit their check within a day or two of receiving it. What kind of experience do you have, especially with first time homebuyers? Do you have knowledge of local not-for-profits and grants that might be available? Are you aware of any grants for first-time homebuyers? Carmen also recommends that you look for a full-time agent. When you are working with a full-time agent, this is somebody who is really going to be a resource to you. If you are a consumer and you are looking for a house, you want an agent is accessible to you. You want someone who is fully committed to the career, because the more committed they are to the career, the more knowledge they will have. Any smart homebuyer, especially a first time homebuyer, should look into what programs are available to them to help to make their home purchase more affordable. What this essentially means is that a person who qualifies for a VA Loan can get a home with a 0% down payment. Of course, there are some fees that they will need to pay, but overall, this is the cheapest way to get into a home. With the HUD websites, you’ll be able to look for local housing agencies and once you get onto the websites for the local housing agencies, you’ll be able to find a list of educational seminars and orientations for grants or lotteries. “There are some really great grants out there,” says Mercado. “I remember helping a single mother who was looking for a coop a couple of years ago. She ended up with $35,000 worth of grant money for a down payment and that made a huge difference for her. Purchasing a home is one of the biggest financial commitments you will ever make. Taking the time to do your research is one of the smartest things that you can do for yourself. An educated consumer is the best consumer that any real estate professional could have. That tells the real estate professional that they aren’t dealing with someone who is shy or timid. They know that they are dealing with someone who is confident and will know when they’ve found the right property and can pull the trigger to purchase it when they are ready. Carmen Mercado, President of the National Association of Hispanic Real Estate Professionals® and a Long Island, New York-based Education & Diversity Manager with NRT’s Coldwell Banker Residential Brokerage. Steven Hale, VP and director of marketing for Brotherhood Bank & Trust of Kansas City, Kansas. Brotherhood bank has an innovative Hispanic Outreach Program which provides financial services to low- and moderate-income consumers. 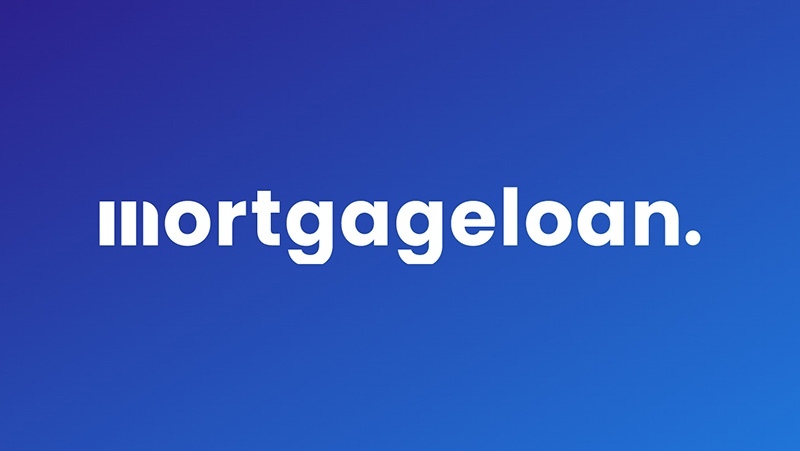 The program includes a uniquely underwritten mortgage product with permissible alternative forms of customer identification, a low-cost remittance product, and financial products, services and education in Spanish. This is the main HUD.gov website for the office of Housing and Urban Development. Through it, you can find information on many important topics including the home buying process, grants and loans, and basic (and advanced) mortgage information. This is a HUD.gov website that fully explains the ins and outs of FHA loans. There are a variety of FHA loans on the site aside from basic loans including loans tailored towards the elderly, towards saving money on energy-efficient renovations, and towards purchasing and renovating homes that are in bad condition. This is the website that focuses on VA loans from the Department of Veterans Affairs. It gives you in-depth information on how qualified borrowers can get a no down payment loan. The website for the Hispanic National Mortgage Association. Potential homeowners can go here to get more information about the home buying process and home buying opportunities. This is the website for the National Association of Hispanic Real Estate Professionals. While this is intended to be a website for professionals, consumers can use it to contact their local chapters and find recommended local real estate professionals.